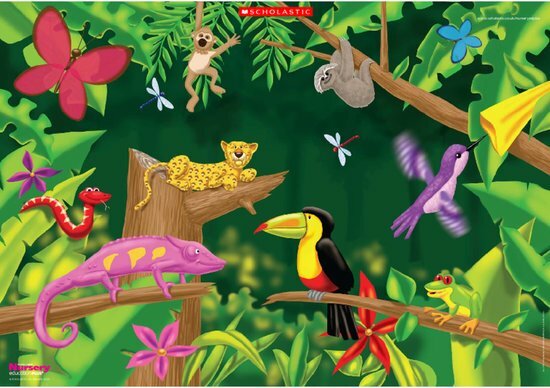 Use these animal fact cards as the basis for a discussion about the animals that live in the rainforest. Investigate the way in which creatures are specially adapted to move around the various layers of the rainforest. Talk about the lifestyle of nocturnal creatures in the rainforest. Consider how camouflage in the rainforest protects animals from enemies and helps predators surprise their prey. Make the children aware that deforestation caused by logging, farming or ranching is threatening the world’s rainforests. Discuss possible solutions like creating national parks or establishing replanting programmes. Find out more about the work of environmental organisations like Friends of the Earth and the World Wildlife Fund. Why is flooding in this country on the increase?